Quality Layer height: 0.1mm* Initial layer thickness: 0.3mm Bottom/top pattern: lines Skin perimeter line count: 0 Horizontal expansion: 0.04mm (when entering 0.04mm index, the 3D printer perceives the model as monolith, i.e. as having no hidden layers). 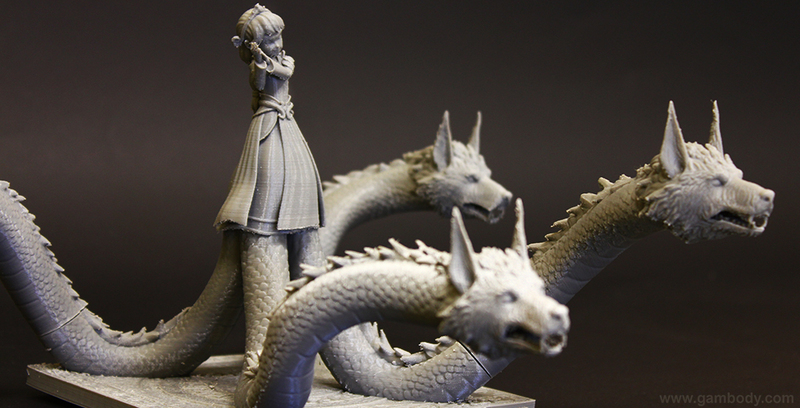 *Layer Height 0.1mm is recommended for a better quality for the printed model. However, the printing time will double. Speed setups: Infill speed: 30mm/s Outer shell speed : 30mm/s Inner shell speed: 20mm/s Top/bottom speed: 20mm/s Support speed: 50mm/s Travel speed: 150mm/s Skirt speed: 30mm/s Amount of slower layers: 4 Infill: Infill pattern: Grid Line distance: 1.5mm Infill overlap: 20% Infill layers: 0 Support: Enable support: Check Placement: Everywhere Overhang angle: 30° X/Y distance: 0.7mm Top distance: 0.2mm Bottom distance: 0.2mm Stair step height: 0.5mm Join distance: 0.7mm Area smoothing: 0.6mm Use towers: check Pattern: Grid Line distance: 1.5mm Platform adhesion: Type: Brim Brim line count: 10 (up to 20, depending on the model’s height) Other 3D printing recommendations: Outer Shell Speed - 20mm/s and Support Speed - 40mm/s settings apply to avoid model deformation. Apply other settings by default. Quality Layer height: 0.1mm* Initial layer thickness: 0.3mm Bottom/top pattern: lines Skin perimeter line count: 0 Horizontal expansion: 0.04mm (when entering 0.04mm index, the 3D printer perceives the model as monolith, i.e. as having no hidden layers). 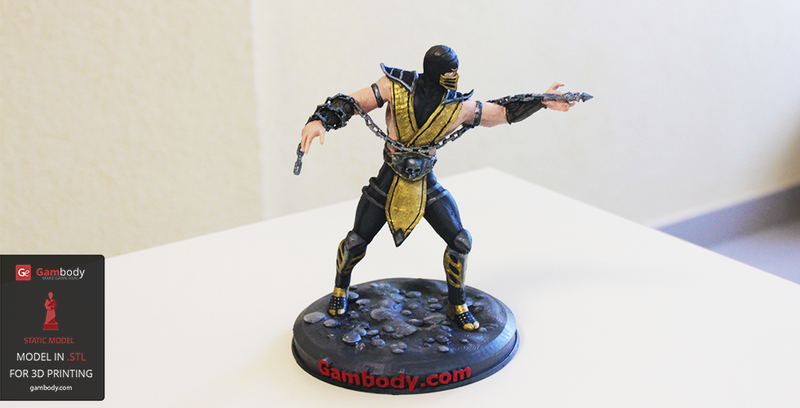 *Layer Height 0.1mm is recommended for a better quality for the printed model. However, the printing time will double. Speed setups: Infill speed: 50mm/s Outer shell speed : 30mm/s Inner shell speed: 20mm/s Top/bottom speed: 20mm/s Support speed: 50mm/s Travel speed: 150mm/s Skirt speed: 30mm/s Amount of slower layers: 4 Infill: Infill pattern: Grid Line distance: 3mm Infill overlap: 20% Infill layers: 0 Support: Enable support: Check Placement: Everywhere Overhang angle: 30° X/Y distance: 0.7mm Top distance: 0.2mm Bottom distance: 0.2mm Stair step height: 0.5mm Join distance: 0.7mm Area smoothing: 0.6mm Use towers: check Pattern: Grid Line distance: 1.5mm Platform adhesion: Type: Brim Brim line count: 10 (up to 20, depending on the model’s height) Other 3D printing recommendations: Outer Shell Speed - 20mm/s and Support Speed - 40mm/s settings apply to avoid model deformation. Apply other settings by default. Quality: Layer height - 0.1mm Initial layer thickness - 0.3mm Bottom/top pattern - lines Horizontal expansion - 0.04mm (when entering 0.04mm index, the 3D printer perceives the model as monolith, i.e. as having no hidden layers). Speed setups: Infill speed - 50mm/s Outer shell speed - 30mm/s Inner shell speed - 20mm/s Top/Bottom speed - 20mm/s Support speed - 50mm/s Travel speed - 150mm/s Skirt speed - 30mm/s Amount of slower layers - 4 Infill: Infill Pattern - Grid Line distance - 3mm Infill Overlap - 20% Infill Layers - 0 Support Enable Support - check Placement - Everywhere Overhang angle - 30° X/Y Distance - 0.7mm Top Distance - 0.2mm Bottom Distance - 0.2mm Stair Step Height - 0.5mm Join Distance - 0.7mm Area Smoothing - 0.6mm Use towers - check Pattern - Lines Line distance - 1.5mm Platform Adhesion Type - Brim Brim Line Count -12 (up to 20, depending on the model’s height) The model’s parts have been test printed in PLA Recommendations All parts will arrange on the print bed in such a way as to get a clean printing, all basic settings by default. Layer height: 0.1mm (for a clean result)* Initial layer thickness: 0.3mm Bottom/top pattern: lines Horizontal expansion 0.04mm (when entering 0.04mm index, the 3D printer perceives the model as monolith, i.e. as having no hidden layers). Speed setups: Infill speed: 50mm/s Outer shell speed: 30mm/s Inner shell speed: 20mm/s Top/Bottom speed: 20mm/s Support speed: 50mm/s Travel speed: 150mm/s Skirt speed: 30 mm/s Amount of slower layers: 4 Infill: InfillpPattern: Grid Line distance: 3mm Infill overlap: 20% Infill layers - 0 Support: Enable support: Check Placement: Everywhere Overhang angle: 30° X/Y distance: 0.7mm Top distance: 0.2mm Bottom distance: 0.2 mm Stair step height: 0.5 mm Join distance: 0.7 mm Area smoothing - 0.6 mm Use towers: Check. When removing secondary structure, the model remains clean. Pattern: Grid Line distance - 1.5mm (for higher detail fidelity and to avoid object deformation during printing) Platform Adhesion: Type: Brim Brim line count: 10 (up to 20, depending on the model’s height) All basic settings by default. Other recommendations: To make printing faster use layer height - 0.2mm for B1, B2, B3, B4, B5, B6, B8, B9, B10, B11, B12, B13, B14, B15, B16, B17, B23, B24, B25, leg parts, as they lack element detail. For other parts use 0.1mm to ensure high printing quality. Apply basic settings. This model was tested in Cura 15.06. To avoid printing problems, we recommend the following settings: Quality Layer height: 0.1mm* Initial layer thickness: 0.3mm Bottom/top pattern: lines Skin perimeter line count: 0 Horizontal expansion: 0.04mm (when entering 0.04mm index, the 3D printer perceives the model as monolith, i.e. as having no hidden layers). 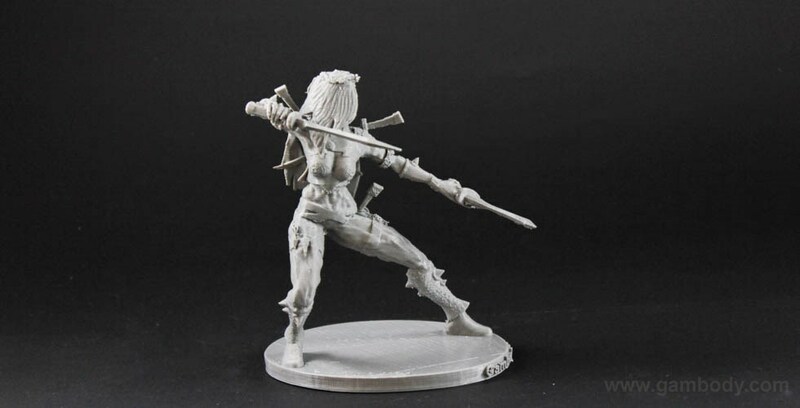 *Layer Height 0.1mm is recommended for a better quality for the printed model. However, the printing time will double. Speed setups: Infill speed: 50mm/s Outer shell speed : 30mm/s Inner shell speed: 20mm/s Top/bottom speed: 20mm/s Support speed: 50mm/s Travel speed: 150mm/s Skirt speed: 30mm/s Amount of slower layers: 4 Infill: Infill pattern: Grid Line distance: 3mm Infill overlap: 20% Infill layers: 0 Support: Enable support: Check Placement: Everywhere Overhang angle: 30° X/Y distance: 0.7mm Top distance: 0.2mm Bottom distance: 0.2mm Stair step height: 0.5mm Join distance: 0.7mm Area smoothing: 0.6mm Use towers: check Pattern: Grid Line distance: 1.5mm Platform adhesion: Type: Brim Brim line count: 10 (up to 20, depending on the model’s height) Other 3D printing recommendations: Outer Shell Speed - 20mm/s and Support Speed - 40mm/s settings apply to avoid model deformation. Apply other settings by default. Quality: Layer height: 0.1mm* Initial layer thickness: 0.3mm Bottom/top pattern: lines Skin perimeter line count: 0 Horizontal expansion: 0.04mm (when entering 0.04mm index, the 3D printer perceives the model as monolith, i.e. as having no hidden layers). 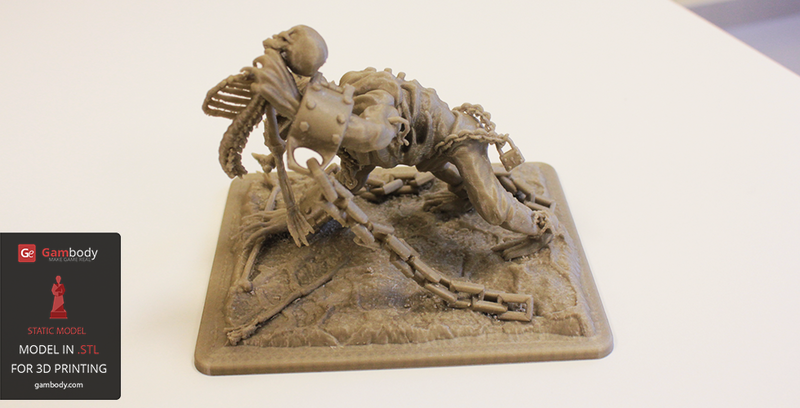 *Layer Height 0.1mm is recommended for a better quality for the printed model. However, the printing time will double. Speed setup: Infill speed: 50mm/s Outer shell speed : 30mm/s Inner shell speed: 20mm/s Top/bottom speed: 20mm/s Support speed: 50mm/s Travel speed: 150mm/s Skirt speed: 30mm/s Amount of slower layers: 4 Infill: Infill pattern: Grid Line distance: 3mm Infill overlap: 20% Infill layers: 0 Support: Enable support: Check Placement: Everywhere Overhang angle: 30° X/Y distance: 0.7mm Top distance: 0.2mm Bottom distance: 0.2mm Stair step height: 0.5mm Join distance: 0.7mm Area smoothing: 0.6mm Use towers: check Pattern: Grid Line distance: 1.5mm Platform adhesion: Type: Brim Brim line count: 10 (up to 20, depending on the model’s height) Other 3D printing recommendations: Outer Shell Speed - 20mm/s and Support Speed - 40mm/s settings apply to avoid model deformation. 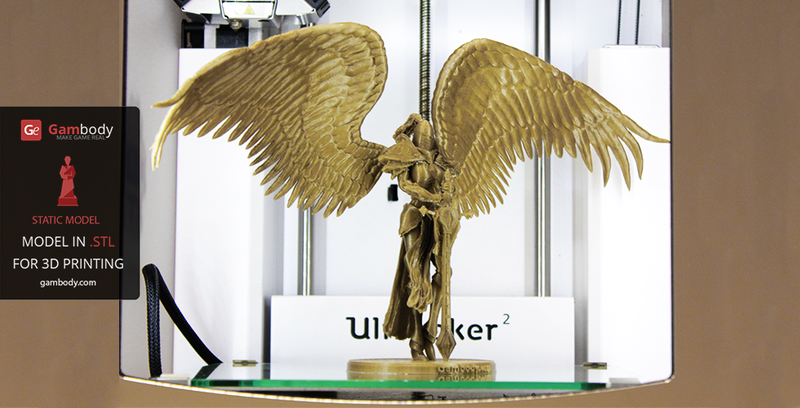 For a smoother and more quality printing, apply the following settings in CURA printing software: Quality Layer height: 0.1mm Initial layer thickness: 0.3mm Bottom/top pattern: lines Horizontal expansion: 0.04mm (when entering 0.04mm index, the 3D printer perceives the model as monolith, i.e. as having no hidden layers). Speed setups: Infill speed: 50mm/s Outer shell speed: 30mm/s Inner shell speed; 20mm/s Top/bottom speed: 20mm/s Support speed: 50mm/s Travel speed: 100mm/s Skirt speed: 30mm/s Amount of slower layers: 4 Infill: Infill pattern: Grid Line distance: 3mm Infill overlap: 20% Infill layers: 0 Support: Enable support: Check Placement: Everywhere Overhang angle: 30 X/Y distance: 0.7mm Top distance: 0.2mm Bottom distance: 0.2mm Stair step height: 0.5mm Join distance: 0.7mm Area smoothing: 0.6mm Use towers: Check Pattern: Lines Line distance: 1.0mm Platform adhesion: Type: Brim Brim line count: 10 (up to 20, depending on the models height) Other 3D printing recommendations: Outer Shell Speed - 20mm/s and Support Speed - 40mm/s setting apply to avoid model deformation. Other settings by default. 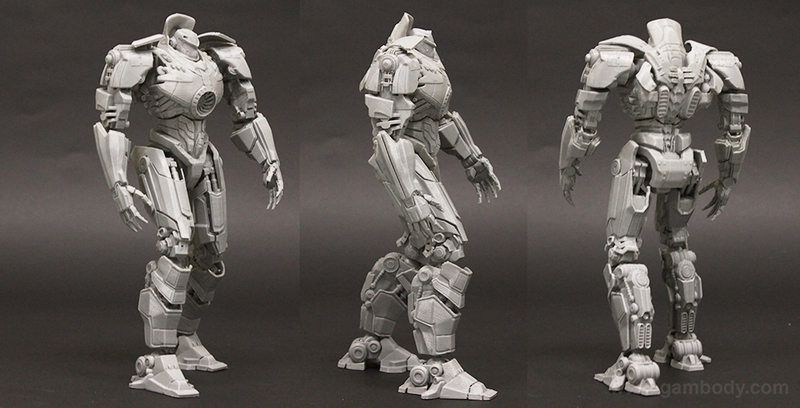 Disclaimer: This model will look outstanding if printed on SLA/SLS 3D printer. 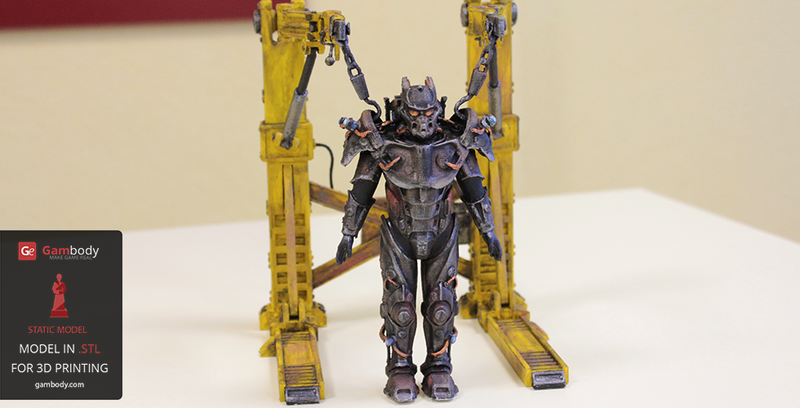 The accuracy of the model printed on FFF printer can vary from the result shown in the pictures. This model was tested in Cura 15.06. 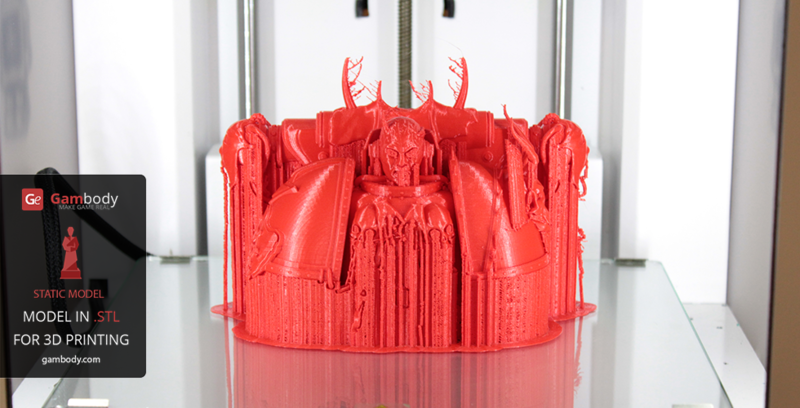 To avoid printing problems, we recommend the following settings: Quality Layer height: 0.1mm* Initial layer thickness: 0.3mm Bottom/top pattern: lines Skin perimeter line count: 0 Horizontal expansion: 0.04mm (when entering 0.04mm index, the 3D printer perceives the model as monolith, i.e. as having no hidden layers). 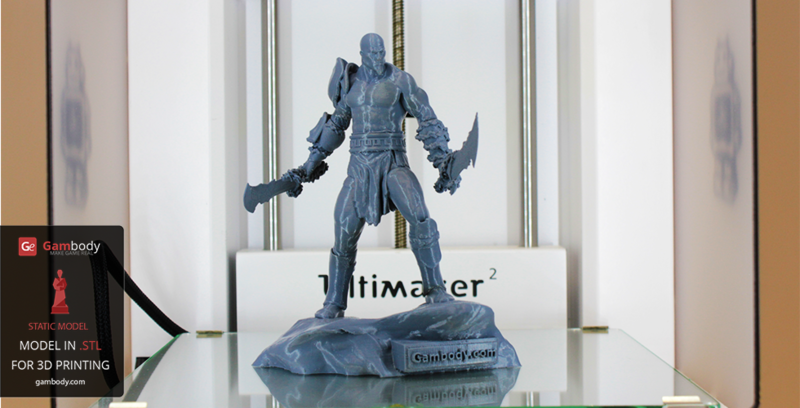 *Layer Height 0.1mm is recommended for a better quality for the printed model. However, the printing time will double. Speed setups: Infill speed: 50mm/s Outer shell speed : 30mm/s Inner shell speed: 20mm/s Top/bottom speed: 20mm/s Support speed: 50mm/s Travel speed: 150mm/s Skirt speed: 30mm/s Amount of slower layers: 4 Infill: Infill pattern: Grid Line distance: 3mm Infill overlap: 20% Infill layers: 0 Support: Enable support: Check Placement: Everywhere Overhang angle: 30° X/Y distance: 0.7mm Top distance: 0.2mm Bottom distance: 0.2mm Stair step height: 0.5mm Join distance: 0.7mm Area smoothing: 0.6mm Use towers: check Pattern: Grid Line distance: 1.5mm Platform adhesion: Type: Brim Brim line count: 10 (up to 20, depending on the model’s height) Other 3D printing recommendations: Outer Shell Speed - 20mm/s and Support Speed - 40mm/s settings apply to avoid model deformation. Apply other settings by default. 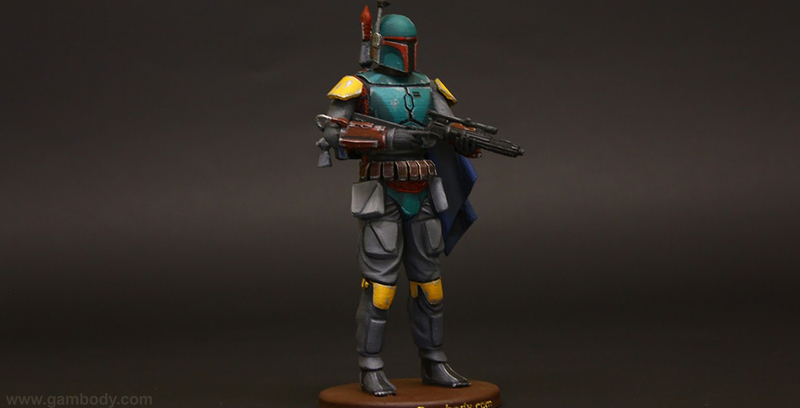 Disclaimer: This model will look outstanding if printed on SLA/SLS 3D printer. 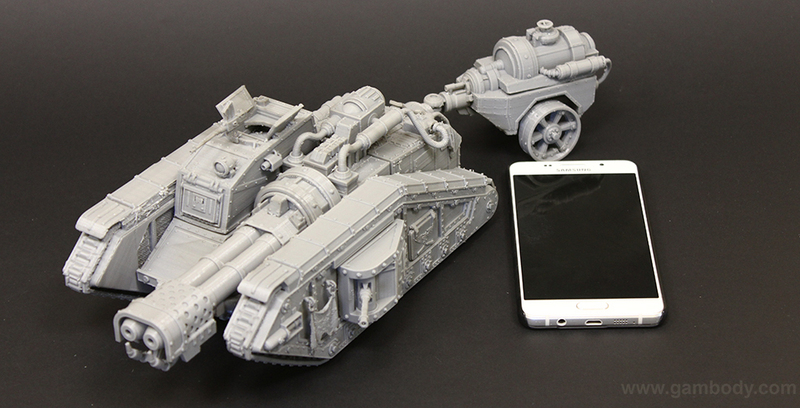 The accuracy of the model printed on FFF printer can vary from the result shown in the pictures. This model was tested in Cura 15.06. To avoid printing problems, we recommend the following settings: Quality Layer height: 0.1mm* Initial layer thickness: 0.3mm Bottom/top pattern: lines Skin perimeter line count: 0 Horizontal expansion: 0.04mm (when entering 0.04mm index, the 3D printer perceives the model as monolith, i.e. as having no hidden layers). *Layer Height 0.1mm is recommended for a better quality for the printed model. However, the printing time will double. Speed setups: Infill speed: 30mm/s Outer shell speed : 30mm/s Inner shell speed: 20mm/s Top/bottom speed: 20mm/s Support speed: 50mm/s Travel speed: 150mm/s Skirt speed: 30mm/s Amount of slower layers: 4 Infill: Infill pattern: Grid Line distance: 1.5mm Infill overlap: 20% Infill layers: 0 Support: Enable support: Check Placement: Everywhere Overhang angle: 30° X/Y distance: 0.7mm Top distance: 0.2mm Bottom distance: 0.2mm Stair step height: 0.5mm Join distance: 0.7mm Area smoothing: 0.6mm Use towers: check Pattern: Lines Line distance: 1.5mm Platform adhesion: Type: Brim Brim line count: 10 (up to 20, depending on the model’s height) Other 3D printing recommendations: Outer Shell Speed - 20mm/s and Support Speed - 40mm/s settings apply to avoid model deformation. Apply other settings by default. 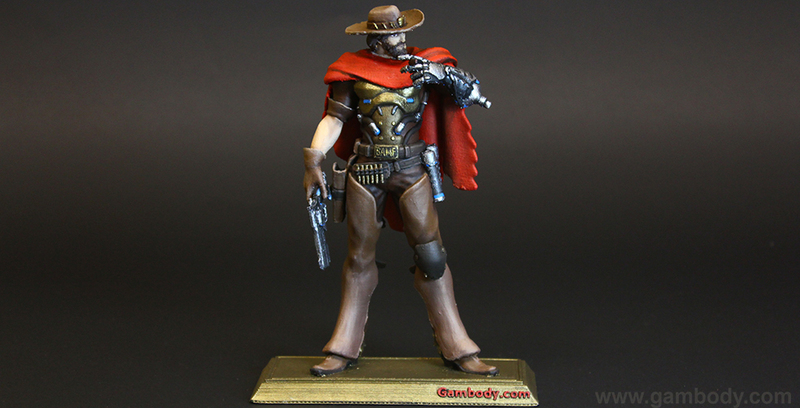 Disclaimer: This model will look outstanding if printed on SLA/SLS 3D printer. 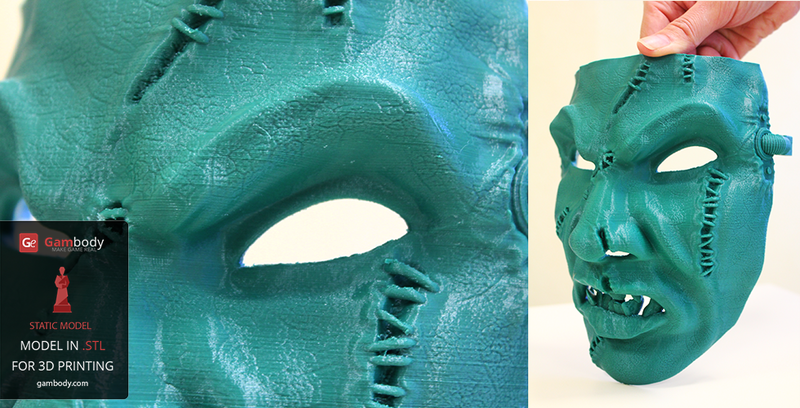 The accuracy of the model printed on FFF printer can vary from the result shown in the pictures. Quality Layer height: 0.1mm Initial layer thickness: 0.3mm Bottom/top pattern: lines Horizontal expansion: 0.04mm (when entering 0.04mm index, the 3D printer perceives the model as monolith, i.e. as having no hidden layers). Speed setups: Infill speed: 50mm/s Outer shell speed: 30mm/s Inner shell speed; 20mm/s Top/bottom speed: 20mm/s Support speed: 50mm/s Travel speed: 100mm/s Skirt speed: 30mm/s Amount of slower layers: 4 Infill: Infill pattern: Grid Line distance: 3mm Infill overlap: 20% Infill layers: 0 Support: Enable support: Check Placement: Everywhere Overhang angle: 30 X/Y distance: 0.7mm Top distance: 0.2mm Bottom distance: 0.2mm Stair step height: 0.5mm Join distance: 0.7mm Area smoothing: 0.6mm Use towers: Check Pattern: Lines Line distance: 1.0mm Platform adhesion: Type: Brim Brim line count: 10 (up to 20, depending on the model's height Other 3D printing recommendations: Outer Shell Speed - 20mm/s and Support Speed - 40mm/s setting apply to avoid model deformation. Other settings by default. 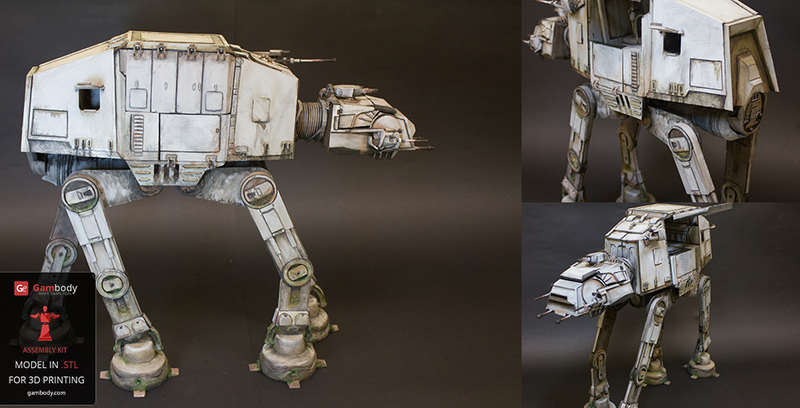 Disclaimer: This model will look outstanding if printed on SLA/SLS 3D printer. 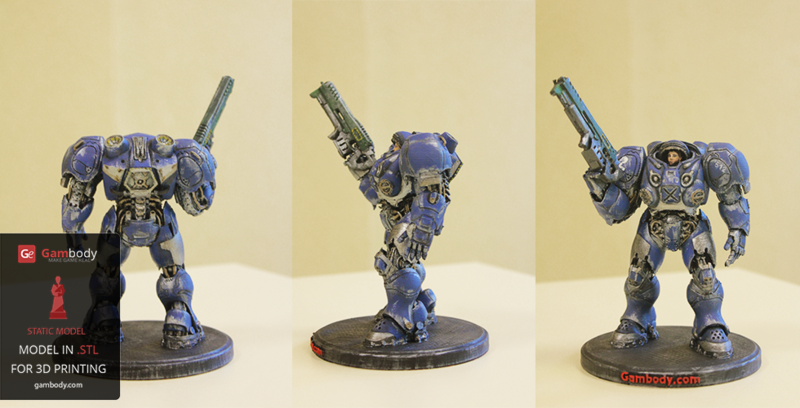 The accuracy of the model printed on FFF printer can vary from the result shown in the pictures. This model was tested in Cura 15.06. To avoid printing problems, we recommend the following settings: Quality Layer height: 0.1mm Initial layer thickness: 0.3mm Bottom/top pattern: lines Horizontal expansion: 0.04mm (when entering 0.04mm index, the 3D printer perceives the model as monolith, i.e. as having no hidden layers). Speed setups: Infill speed: 50mm/s Outer shell speed: 30mm/s Inner shell speed; 20mm/s Top/bottom speed: 20mm/s Support speed: 50mm/s Travel speed: 100mm/s Skirt speed: 30mm/s Amount of slower layers: 4 Infill: Infill pattern: Grid Line distance: 3mm Infill overlap: 20% Infill layers: 0 Support: Enable support: Check Placement: Everywhere Overhang angle: 30° X/Y distance: 0.7mm Top distance: 0.2mm Bottom distance: 0.2mm Stair step height: 0.5mm Join distance: 0.7mm Area smoothing: 0.6mm Use towers: check Pattern: Lines Line distance: 1.0mm Platform adhesion: Type: Brim Brim Line Count: 10 (up to 20, depending on the model’s height) Other 3D printing recommendations: Outer Shell Speed - 20mm/s and Support Speed - 40mm/s setting apply to avoid model deformation. Other settings – by default. 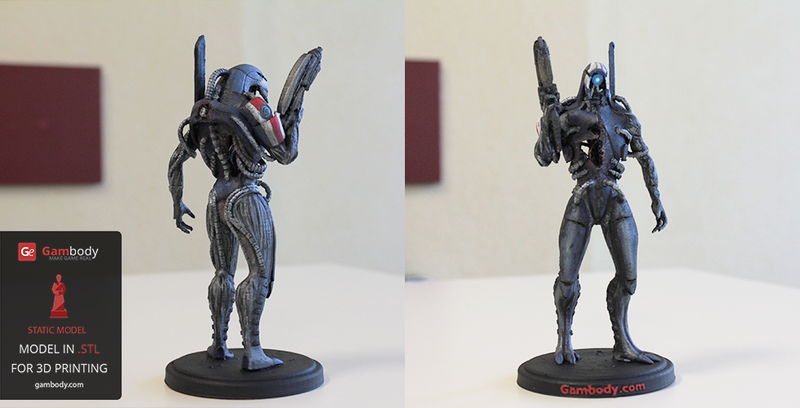 Disclaimer: This model will look outstanding if printed on SLA/SLS 3D printer. 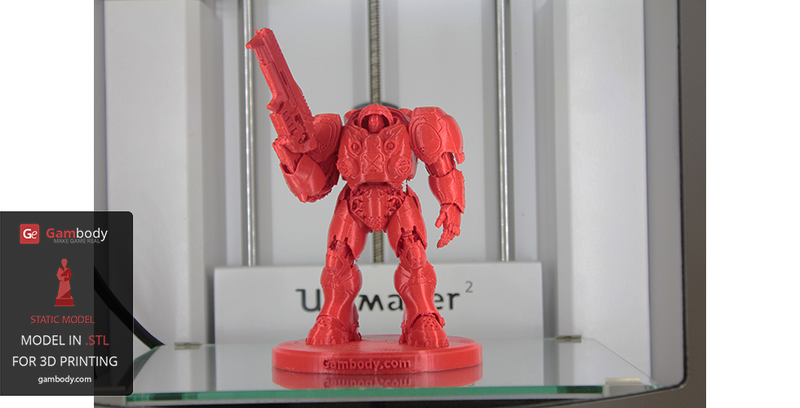 The accuracy of the model printed on FFF printer can vary from the result shown in the pictures. This model was tested in Cura 15.06. To avoid printing problems, we recommend the following settings: Quality Layer height: 0.1mm* Initial layer thickness: 0.3mm Bottom/top pattern: lines Skin perimeter line count: 0 Horizontal expansion: 0.04mm (when entering 0.04mm index, the 3D printer perceives the model as monolith, i.e. as having no hidden layers). 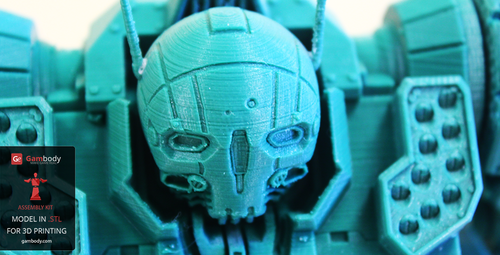 *Layer Height 0.1mm is recommended for a better quality for the printed model. However, the printing time will double. Speed setups: Infill speed: 50mm/s Outer shell speed : 30mm/s Inner shell speed: 20mm/s Top/bottom speed: 20mm/s Support speed: 50mm/s Travel speed: 150mm/s Skirt speed: 30mm/s Amount of slower layers: 4 Infill: Infill pattern: Grid Line distance: 3mm Infill overlap: 20% Infill layers: 0 Support: Enable support: Check Placement: Everywhere Overhang angle: 30° X/Y distance: 0.7mm Top distance: 0.2mm Bottom distance: 0.2mm Stair step height: 0.5mm Join distance: 0.7mm Area smoothing: 0.6mm Use towers: check Pattern: Lines Line distance: 1.5mm Platform adhesion: Type: Brim Brim line count: 10 (up to 20, depending on the model’s height) Other 3D printing recommendations: Outer Shell Speed - 20mm/s and Support Speed - 40mm/s settings apply to avoid model deformation. Apply other settings by default. 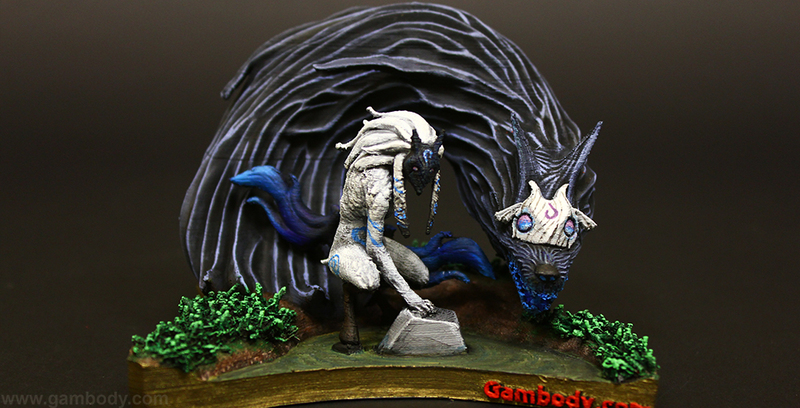 Disclaimer: This model will look outstanding if printed on SLA/SLS 3D printer. 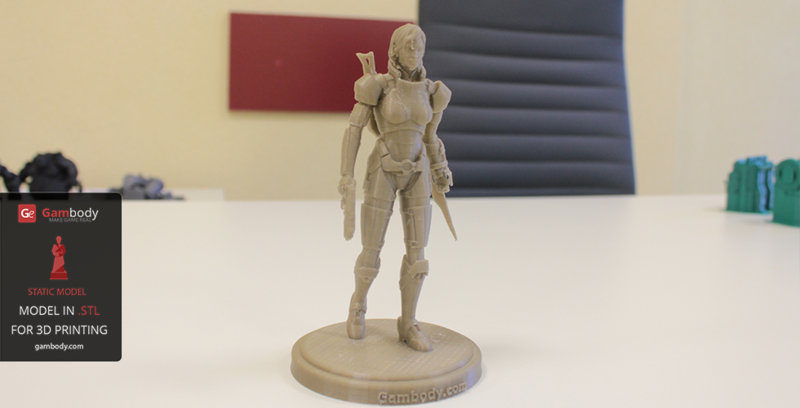 The accuracy of the model printed on FFF printer can vary from the result shown in the pictures. This model was tested in Cura 15.06. To avoid printing problems, we recommend the following settings: Quality Layer height: 0.1mm* Initial layer thickness: 0.3mm Bottom/top pattern: lines Skin perimeter line count: 0 Horizontal expansion: 0.04mm (when entering 0.04mm index, the 3D printer perceives the model as monolith, i.e. as having no hidden layers). 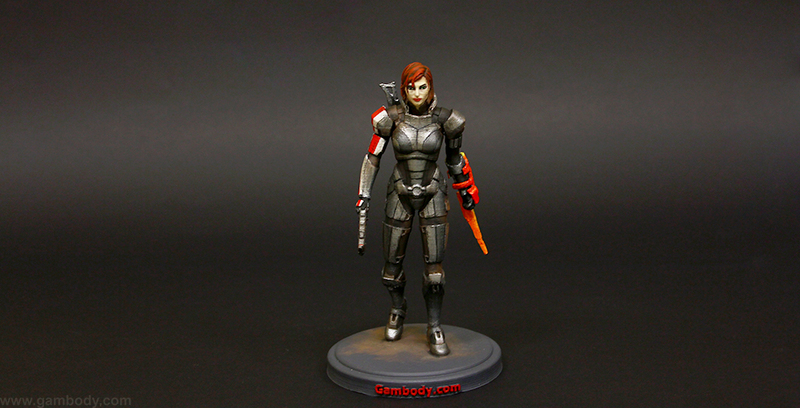 *Layer Height 0.1mm is recommended for a better quality for the printed model. However, the printing time will double. 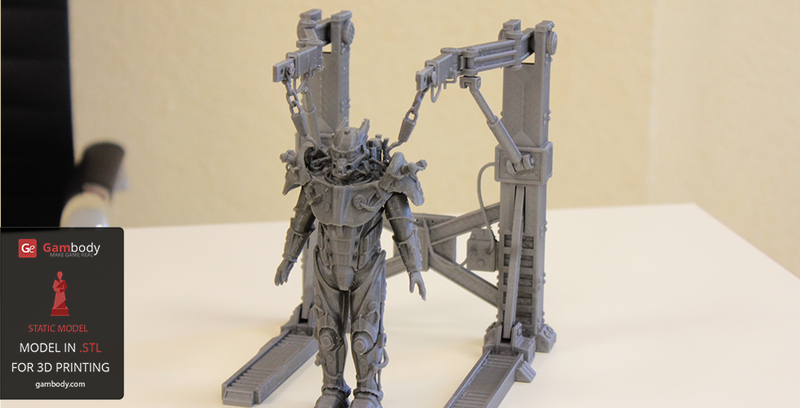 The model has been tested and printed in PLA. In case you need advice where to get your filaments from, check our partner's website. Speed setups: Infill speed: 50mm/s Outer shell speed : 30mm/s Inner shell speed: 20mm/s Top/bottom speed: 20mm/s Support speed: 50mm/s Travel speed: 150mm/s Skirt speed: 30mm/s Amount of slower layers: 4 Infill: Infill pattern: Grid Line distance: 3mm Infill overlap: 20% Infill layers: 0 Support: Enable support: Check Placement: Everywhere Overhang angle: 30° X/Y distance: 0.7mm Top distance: 0.2mm Bottom distance: 0.2mm Stair step height: 0.5mm Join distance: 0.7mm Area smoothing: 0.6mm Use towers: check Pattern: Lines Line distance: 1.5mm Platform adhesion: Type: Brim Brim line count: 10 (up to 20, depending on the model’s height) Other 3D printing recommendations: Outer Shell Speed - 20mm/s and Support Speed - 40mm/s settings apply to avoid model deformation. Apply other settings by default. 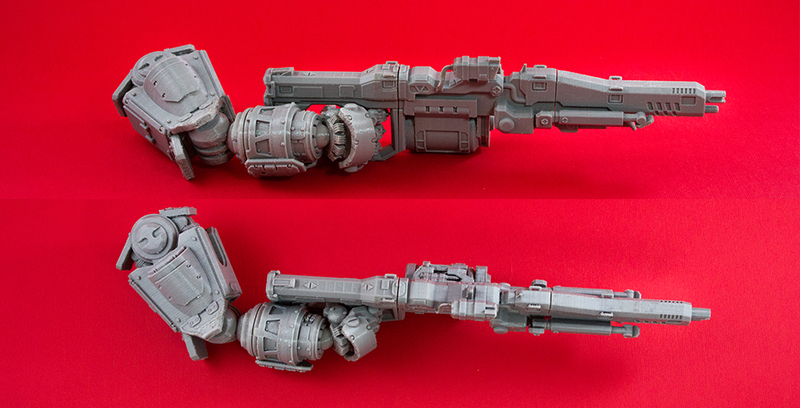 Disclaimer: This model will look outstanding if printed on SLA/SLS 3D printer. 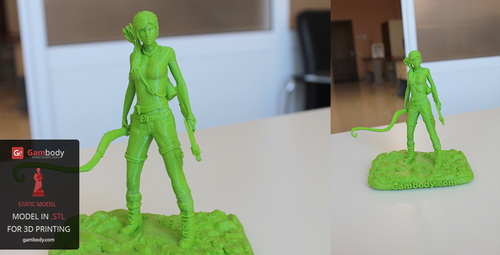 The accuracy of the model printed on FFF printer can vary from the result shown in the pictures.